Add a touch of the upper east side New York to your home with our fine collection of Village Loft furniture that combines metropolitan style with traditional craftsmanship. 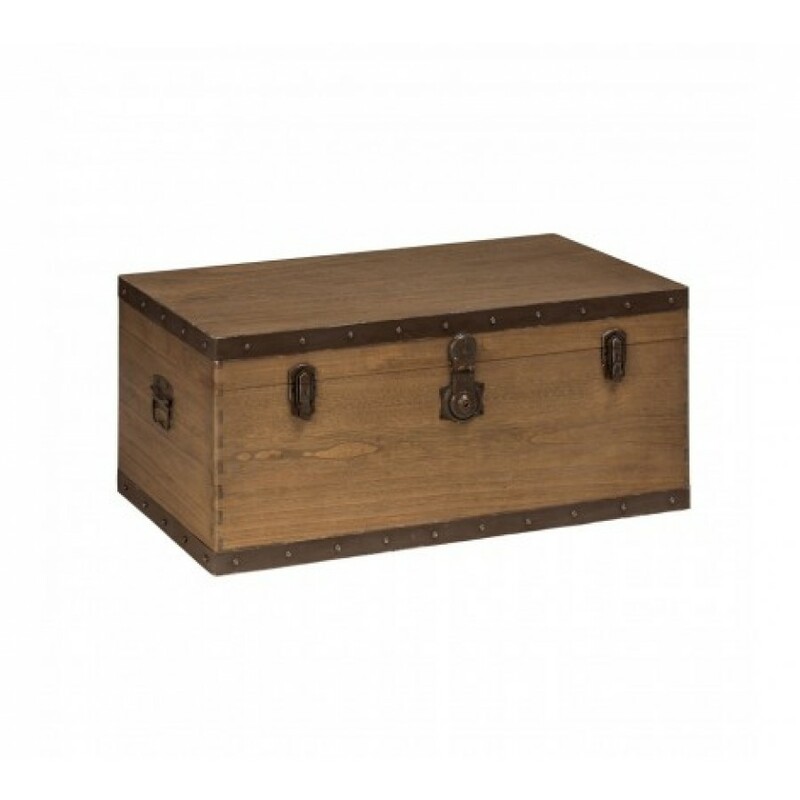 The storage trunk is made from durable MDF and Paulownia wood which is known for its lightweight yet robust nature, while the fine grain gives it an aesthetically pleasing and natural finish. Adding to the style, a dark metal effect edge with rivets, surrounds the trunk to contrast the light wood for a striking look. Perfect for storing clothing, linen, towels, books, magazines and other knick-knacks helping to keep your home organised and tidy. Handles on the side allow you to carry the case if required. Metal locks, with key, will help to keep your trunk securely shut protecting your items from dust and prying eyes. A beautiful addition in your home, the Village Loft storage trunk will complement most decors making a functional and fashionable piece in your home.